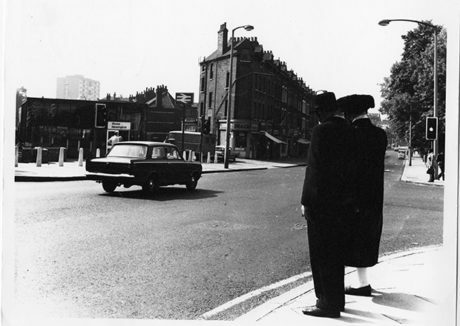 A new exhibition in Dalston tells the story of post-war Stamford Hill through first-hand accounts of Orthodox Jewish residents. 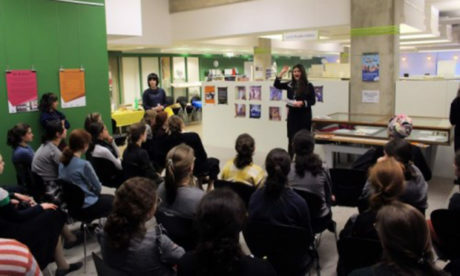 Sharing Our Stories: Jewish Stamford Hill 1950s-1980s, created by young women from Charedi community group Teen Action, opened last week at Hackney Archives, situated in Dalston CLR James Library. The display details how the Jewish community helped families find housing, set up Kosher businesses, and made sure there was support for people with medical needs. It features stories, objects and photos of businesses and community groups that have had a big impact on Stamford Hill, which is now home to Europe’s largest Charedi community with an estimated 20,000 people. Orthodox Jews who arrived in Hackney after the second world war were instrumental in laying the foundations for the area as we know it today. Schools, organisations and businesses were built up by these pioneers. Teen Action youngsters were trained in research and editing as part of the project. Youngsters from Teen Action wanted to share this unknown history and help others gain an appreciation for their elders and Stamford Hill’s heritage. The project, funded by Heritage Lottery and supported by Hackney Archives and Hackney Museum, saw the group trained in skills including researching archive collections, filming and editing oral history interviews, and designing an exhibition. Teen Action member Ruchi, 18, said: “I learnt to appreciate older people, and that they have a lot to offer. Cllr Jon Burke, cabinet member with responsibility for Hackney Archives, said: “It’s great to see young people so keen to learn more about local heritage and to want to share this knowledge with the wider community. “It’s a brilliant display where visitors can learn more about the Charedi community in Stamford Hill, including those who developed businesses, improved education, and established community organisations. In 2016, Teen Action delved into the history of the borough’s Orthodox community from 1930 to 1950 for an exhibition at Hackney Museum. Sharing Our Stories: Jewish Stamford Hill 1950s-1980s is on until 29 March.